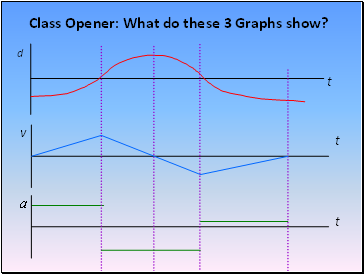 Class Opener: What do these 3 Graphs show? 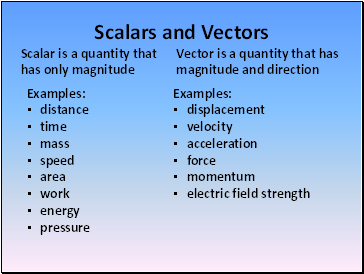 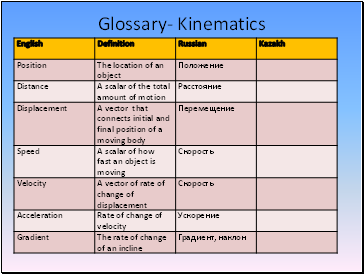 Recall the definitions of position, distance, displacement, speed, velocity and acceleration and distinguish whether these are scalars or vectors. 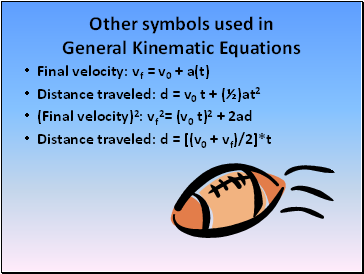 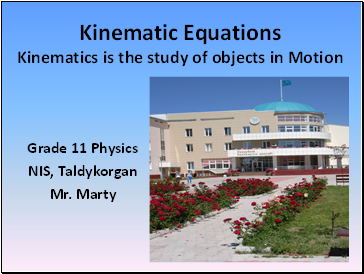 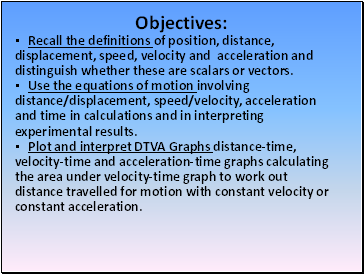 Use the equations of motion involving distance/displacement, speed/velocity, acceleration and time in calculations and in interpreting experimental results. 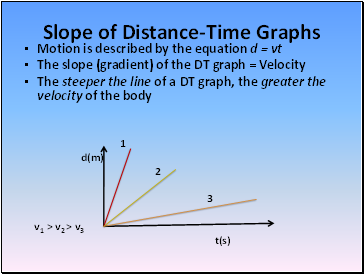 Plot and interpret DTVA Graphs distance-time, velocity-time and acceleration-time graphs calculating the area under velocity-time graph to work out distance travelled for motion with constant velocity or constant acceleration. 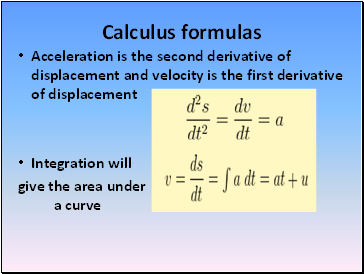 These equations only apply during constant acceleration (motion is one-dimensional motion with uniform acceleration). 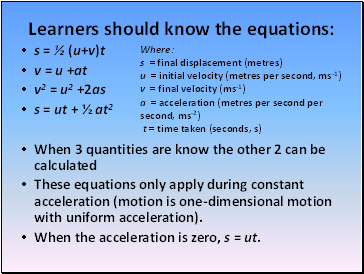 When the acceleration is zero, s = ut.